Good morning! Rise and shine! I’ve got a great breakfast idea to share with you today. It’s easy and delicious! 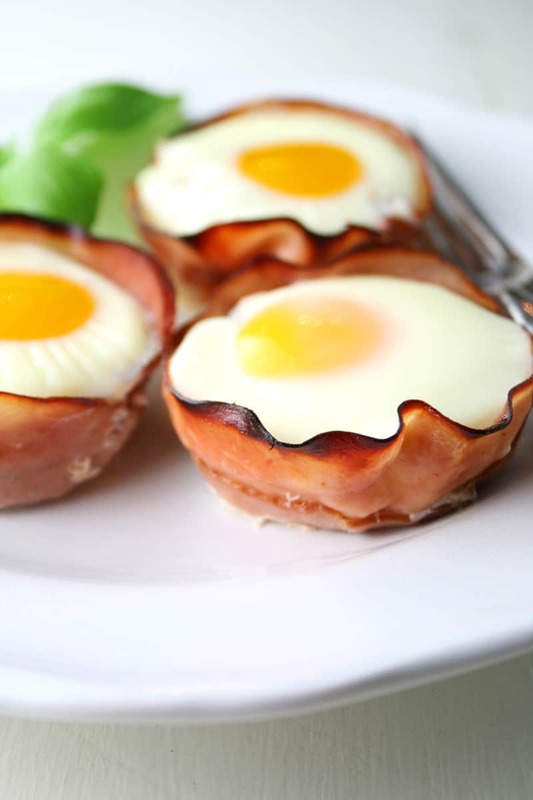 Ham and Egg Cups are simple to make, yet elegant enough to serve your guests at a brunch or even something like a bridal shower. Just two ingredients! But so cute! 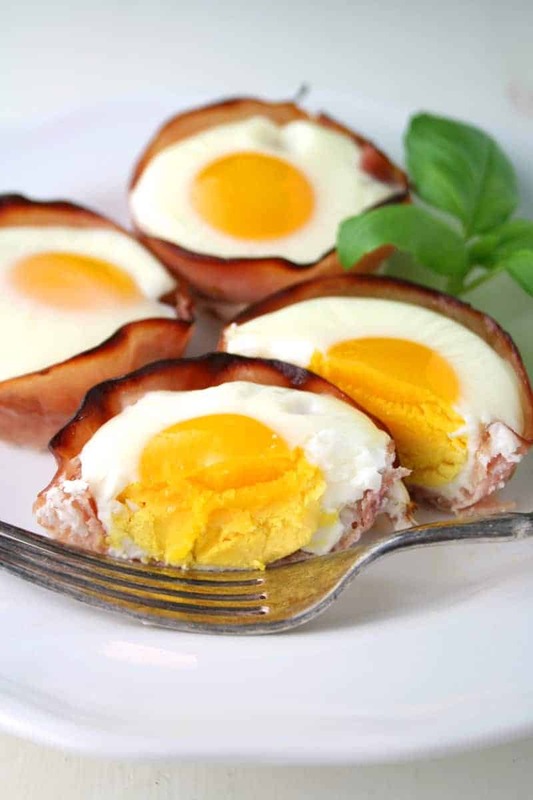 Each egg comes in it’s own little cup made of baked ham. What’s better than ham and eggs in the morning! Anyway, they loved these Ham and Egg Cups! 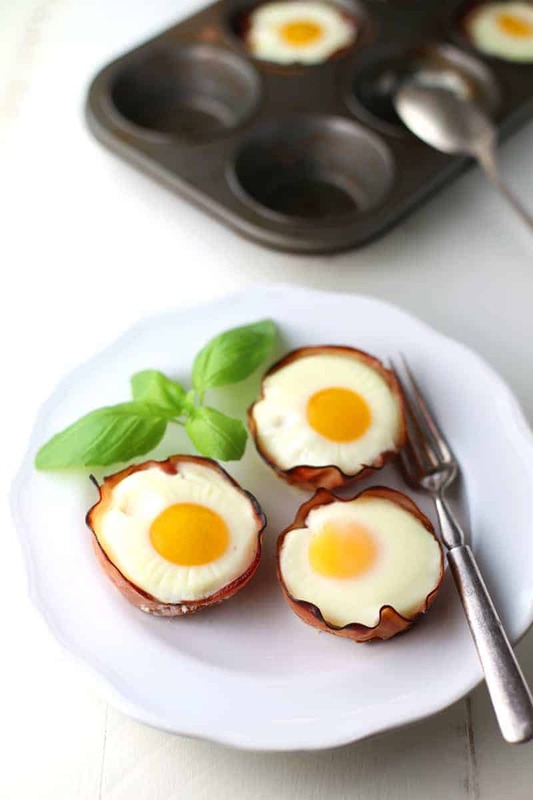 Making Ham and Egg Cups is so super simple! There are just two ingredients and the name gives it away. LOL! The first ingredient in this recipe is, of course, ham. 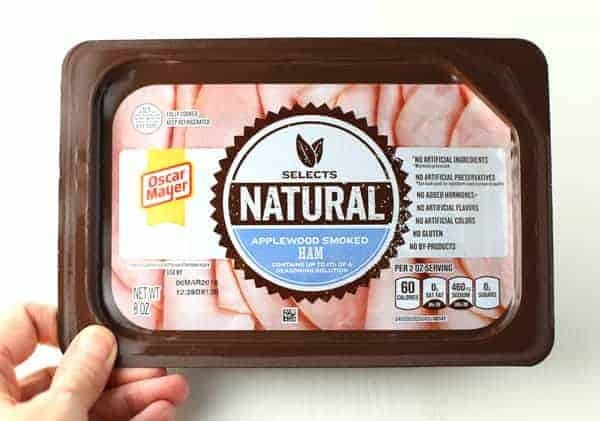 I chose the Oscar Mayer Selects Natural APPLEWOOD SMOKED HAM because it’s made with no artificial ingredients, and is minimally processed. Selects Natural has no artificial preservatives (the back side of each package lists the ingredients used to preserve quality), no artificial flavors, no artificial colors, no gluten and no by-products. I decided to make six Ham and Egg Cups because my daughter doesn’t eat eggs, so I needed six eggs for this recipe (two eggs per person). 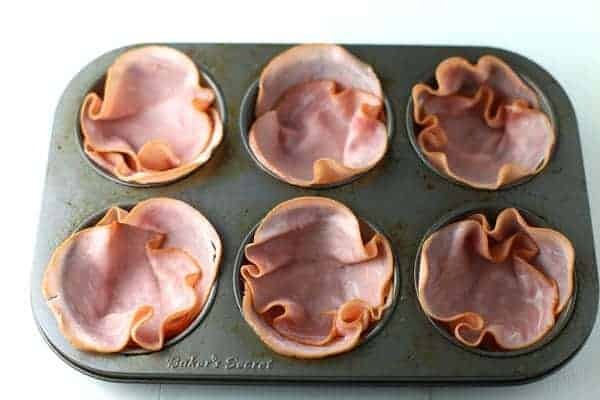 I sprayed a 6-cup muffin pan with non-stick cooking spray, then added two slices of Oscar Mayer Selects Natural APPLEWOOD SMOKED HAM per cup. 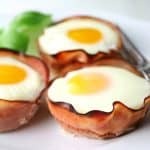 Then I cracked one egg into each ham cup. I baked them in a preheated 400°F oven for 15 minutes. And voila, they were done! I added a little fresh basil for some color, then served them with salt and pepper to taste. What could be easier! All you need is toast or biscuits on the side, plus maybe some buttered grits. So good! 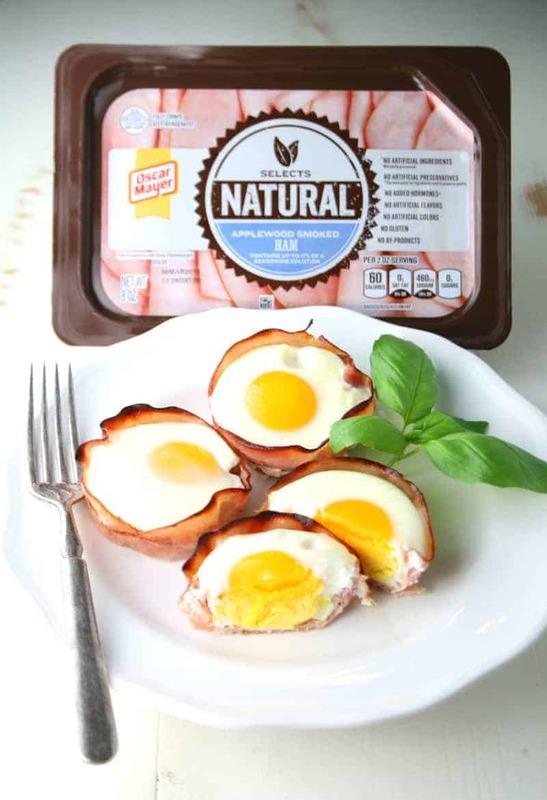 Oscar Mayer Selects Natural is the perfect choice for anyone looking for quality cold cuts that have no artificial ingredients and delicious taste. Preheat oven to 400°F. Spary a 6-cup muffin pan with non-stick cooking spray. 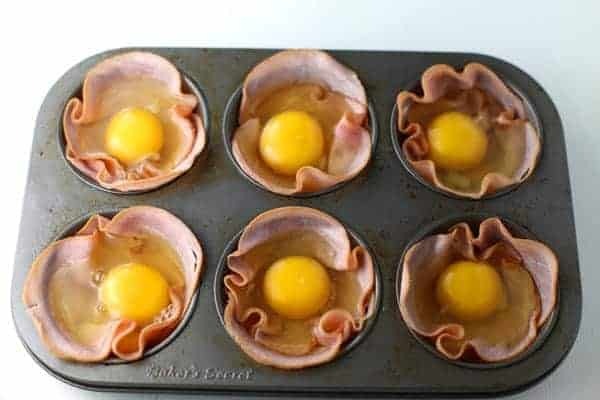 Place 2 slices of ham in each muffin cup, pressing down in the middle to make room for the egg. Bake for 15 minutes or until eggs are cooked according to your preference (soft, medium or hard). Mine baked for 15 minutes and the yolk was cooked all the way through. Gotta try this. My kind of natural ingredients. 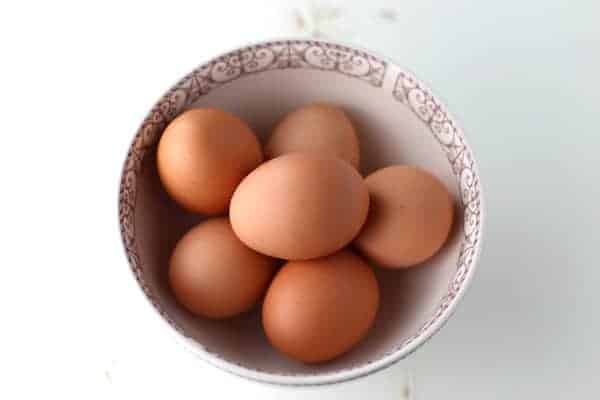 I recommend Eggland’s eggs from free range vegetarian fed chickens. 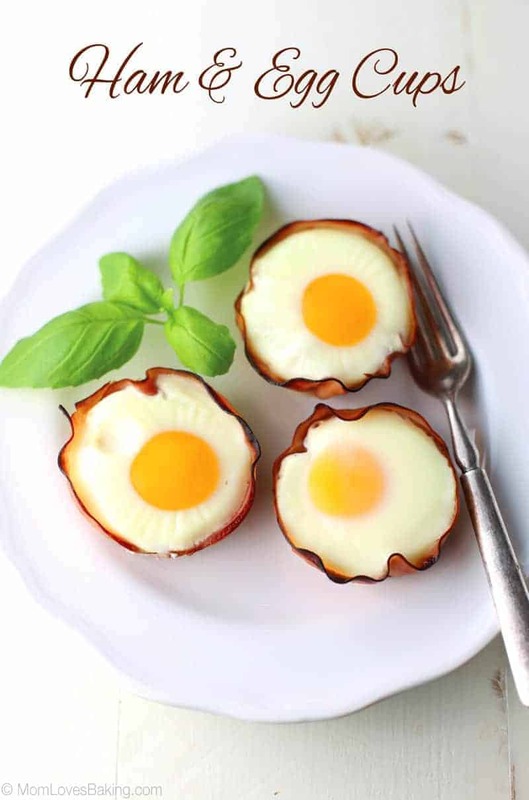 How perfect for breakfast or brunch! LOVE this one. We do these using Parma Ham. You can also cook some sliced mushrooms, peppers or spinach and put these on top of the meat you are using before you put in the egg. Also try grating some Parmesan cheese over the top or top with a teaspoon of Creme Fraiche. 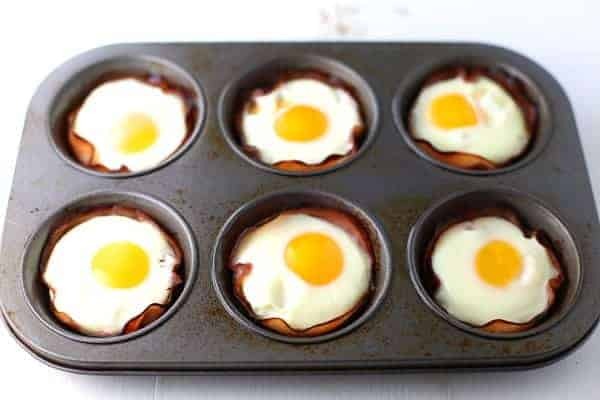 For party sized versions make these in mini muffin tins and use quail eggs.